I don't think that is happening on my system. Can you post your file? I think this is normal when using Auto Pick, it is simply selecting the "Closure". But moving the cursor over the object in the middle auto selects that object as well. 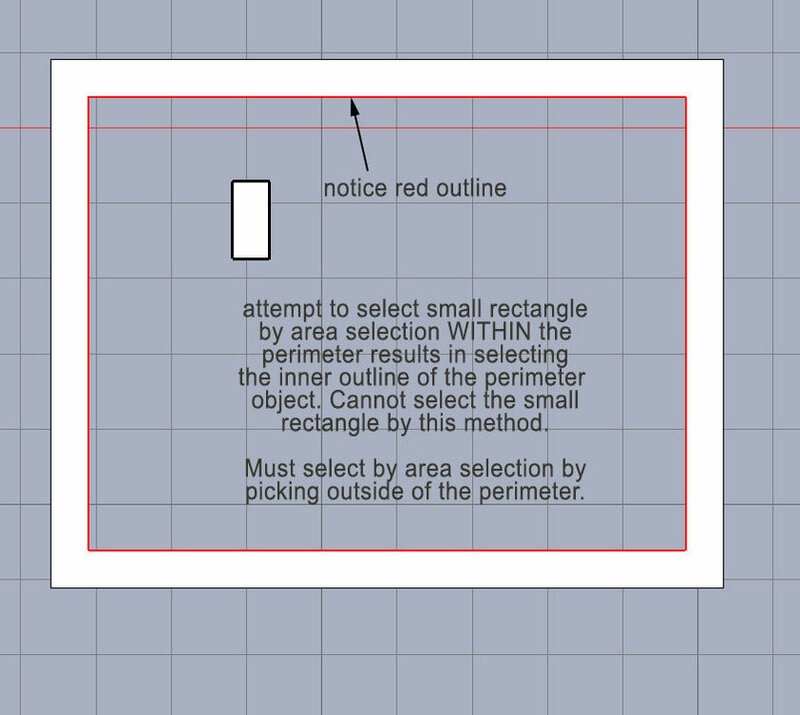 I find that using the Auto Pick to select closures is extremely handy for example selecting the closure in a window frame, copying and pasting results in the closures being pasted as new surfaces which can be the glass. I'm pretty sure it's been like this since v7. It can catch you out however if you happen to have "Allow Drag" selected in the tool options in which case you can inadvertently distort the wall enclosure. I normally have that unselected. The Auto Pick tool in conjunction with the TAB key is quite powerful especially when there are multiple enclosures inside one another.